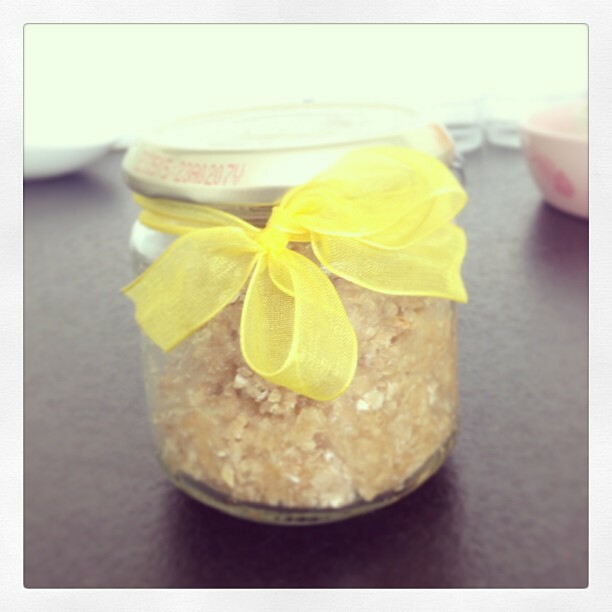 Simple Scrub for Body, Hands & Feet – Kate. Lives. Loves. Learns. Went to a really awesome talk this week on DIY skincare products. We made this simple scrub and it is absolutely amazing. Use the same quantities across all ingredients and its for you to decide how much you want to make. It is glorious and easy! Credit to Sharon Feigal for sharing this recipe.